In the last few decades, the level of air pollution seems to be constantly growing due to human-made activities that also trigger climate change. Hence, the effects of air pollution on human health are even more severe than we thought. This is a global problem and many countries in the world are on the list of the most polluted countries out there. The high levels of greenhouse gas emissions there are threatening human health while also affecting the environment, species of plants and animals. We share the same air and what happens in a certain area of the globe will also, at some point, affect the rest of the planet. Any form of pollution has negative consequences, affecting the ecosystem we rely on. Air pollution is one of the types of pollution which affects us the most. The release of pollutants into the atmosphere coming from numerous factories and power plants have negative effects on our health. Its effects start to surface in the form of increased cases of lung illnesses and global warming. The process of burning fossil fuels triggers dangerous emissions of greenhouse gases which spread into the atmosphere. Clearly, the air we breathe has a massive impact on our health. When breathing polluted air, the risk of developing lung diseases increases. Many people develop asthma and many others respiratory illnesses. Therefore, increased exposure to greenhouse gases like carbon dioxide and methane gas can cause heart diseases and respiratory illnesses. Scientists indicate that the exposure to ground ozone for about 6 to 7 hours can lead to the decrease of lung function. Hence, people may experience respiratory inflammation. Almost all the air pollutants are carcinogens, representing a tremendous threat to people’s health and increasing the risk of cancer. Furthermore, people living in polluted cities experience wheezing and coughing. 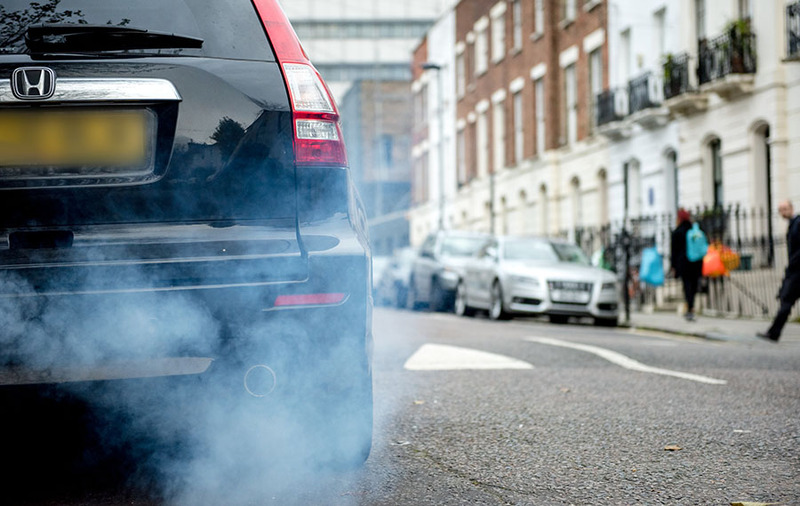 Specialists indicate that air pollution also harms the reproductive, endocrine and immune systems. In some cities, high levels of PM2.5 indicated to cause different heart problems. The process of burning fossil fuels emits numerous dangerous chemicals among which carbon dioxide. Carbon dioxide is one of the gases which builds up into the atmosphere it can remain there for hundreds of years before it leaves our planet. The accumulation of CO2 causes the planet to warm up. The shield of CO2 attracts the light and heat coming from the sun. The high temperatures can cause heatwaves, triggering a lot of discomfort due to the increase in humidity. Furthermore, carbon dioxide that pollutes the atmosphere also causes ozone depletion. Ozone depletion means that the protective layer of ozone gets thinner and the heat and UV radiation from the sun easily penetrate the atmosphere. Hence, the dangerous UV radiations can cause several types of skin cancer, and they can also cause eye damage. Air pollution is determined by greenhouse gas emissions which trigger global warming. Another important aspect of air pollution is that the dangerous chemicals in the air can also settle into water sources and plants. As we know, many farmers could use those water sources for their animals or poultry which we eventually reach to consume. Furthermore, the contaminated water sources can also be used in agriculture. Hence, people could water their crops using water from a contaminated source. When the toxic chemicals from the air settle into plants, they can either be consumed by us or by animals in farms that later reach the market. Hence, in some way or another, the contaminated plants or water sources affect the entire ecosystem, including us. Basically, the poison travels up the food chain, damaging each host at the time. The worst pollutant in the air is nitrogen dioxide. This is a part of a group of air pollutants which occurs due to fossil fuel combustion processes and road traffic. The presence of nitrogen dioxide in the atmosphere also triggers the accumulation of other pollutants such as particulate matters and ozone. Increased exposure to NO2 can affect people’s health, increasing the chance of developing respiratory diseases, decreasing lung function. However, scientists cannot establish exactly which health damages NO2 alone could cause since it also emerges into the atmosphere with many other pollutants. The exposure to nitrogen dioxide can cause bronchitis, phlegm, and cough, especially in children. Other studies show that high levels of NO2 into the air can also increase the prevalence of allergies, especially to inhaled pollens. Another significant effect of air pollution is the formation of acid rain. The accumulation of nitrogen dioxide and sulfur dioxide in the atmosphere can determine the occurrence of other compounds. They fall onto the ground during rainfall. Wherever this lands, acid rain has dangerous effects. When reaching freshwater sources, such as lakes and rivers, the water becomes acid. Hence, aquatic creatures like fish and other plants are affected. Specialists indicate that acid rain determined the decline of numerous animal species like brown trout, mollusks, salmon, aquatic birds, mayflies and many others. Acid rain also damages plants, making them toxic. Many animals which feed on those plants are also affected. Hence, the whole food chain would be affected. Long-term exposure to air pollution can cause severe health problems like cancer, nerve damage, lung injury and even birth defects. A previous study indicates that air pollution might affect us starting from our first stages of life, even from the womb. To diminish air pollution and improve health quality and sustainable living, we should diminish the use of fossil fuels first. They produce the most air pollution. We should replace them with renewable energy sources as hydropower, solar panels, and windmills. Every year, millions of people die due to air pollution-related diseases. That is why policymakers should come up with more drastic measures to diminish the use of fossil fuels. All countries should implement the carbon dioxide tax to motivate industries to use renewable energy sources.